There is a film I have come across in my time here in West Plains that seems to fit into a theory I have regarding a connection between food and the spiritual life, and it doesn’t always fit for some but I consider it a general rule. If you are happy with your bland, tired, same old, subsistence of foodstuffs, then you’ll be happy with your bland, tired, same old, subsistence of church life. “Babette’s Feast” is the tale of two sisters whose father founded a spiritually austere church in a small town in Denmark, and allow a well-known chef (unknown to them) to cook for them for many years. When the chef, Babette, comes in to some money she wants to present the sisters a feast they have never experienced, in return for the kindness they showed her. The sisters allow the feast but promise each other that they will not enjoy it or proclaim the sumptuousness of it all. Only one person at the feast for 12 people, recognizes the beauty and luxury of what is presented in each course as it comes. Soon, all participants give in to the flavors and repast, intoxicated with joy they find the emotions they had denied themselves all their stringent lives. I have had the ability to visit a few churches here and there in the past couple of months due to our 4:30 meeting time at TLC. One thing that surprises me about what is happening here is that people are unsatisfied with where they are and choose to go someplace of seemingly the same presentation. That is to say, there isn’t much difference from one church to the other that I can see, admittedly acknowledging that one or two visits cannot reveal the heart of a people. The last church we went to was an Assemblies of God church. I was of high expectations due to the rumors of the Spirit moving throughout these people. Sad to say though, these people were completely lifeless. I could see the leadership and worship team desperately trying to excite the church once more. I recognized that this was once a place where He moved and flowed, but the people have forgotten to taste and see how good God can be. There is a reason God uses so much of our senses in experiencing Him, and tasting Him is a provocative thought. God has given us many good things to tantalize and please the senses and food is one thing we can metaphorize to who He is. In other words, I see a strong connection of flavor and taste of food and appreciating and savoring it compared to appreciating and savoring our Lord. I don’t want to get heretical here, so we’ll just leave it there. And I just expect you’ll understand… or you won’t. Restaurants come and go in West Plains, and most of them are just the same offering of a different locale. People get all excited and then they just go back to the same old, same old when the feeling has worn off. Much like they are with the church offerings in town. It is of an individuals expectations to flavorize their own life if they miss what they may have known; like my wife and I have done as we find ourselves among people satisfied with the plain. As I said before, there are exceptions, and my wife and I and my family try not to be snooty when it comes to what we find at potlucks and such and we truly are grateful for just being invited, for the people are spicy enough for us. I miss really good pizza. And there is an okay place here in West Plains, although it has changed locations three times and management more than I can count, but they keep going, which is appreciated. One place that I will insist on going to on our supposed trip to Salt Lake City is, The Pie Pizzeria. The Pie as it is affectionately called, has been a staple restaurant at the University of Utah for as long as I can remember. You access The Pie by going down a dark stairway just off of 2nd South and East of 13th East, right near to the University Pharmacy entrance. The walls are covered in graphittied up brick and the tables are big; big enough to fit one of their 23″ giant pepperonis! Covered in cheese and hidden underneath are big slices of pepperoni, that any well traveled kid such as myself could enjoy 5-6 slices. Although it was later in life when I came to enjoy the delight of the Combo. There is nothing hidden about the Combo, everything is there for you to see. Strange Confessions: We once smuggled a back-pack full of beer into The Pie and sat at one of the back tables, hiding and consuming our seriously illegal brews for at the time we weren’t even of age. But I don’t think the staff much cared about that, and it was so dim nobody could see any which way, besides we only had eyes for the pies being brought out and set on the tiny stands over the little candles every pizza place use to have. The Pie used to be a place where you had to do some planning to get there and get yer pie. But for 10 years or so now, The Pie has sprung up in several places in the valley including Midvale and *gasp* South Jordan. Which is kind of a good thing, but also kind of a bad thing… if you know what I mean. And, in the intervening years of “fancy” pizza, The Pie has diversified even more. But the one thing you can always count on when visiting The Pie, is an exciting array of flavors, and loads of cheese. Just you wait my friends. Just you wait. Strange Confessions: I was dreadfully afraid to get sick in the car while I was growing up, because I didn’t want to get fined for littering if I threw-up out the window. 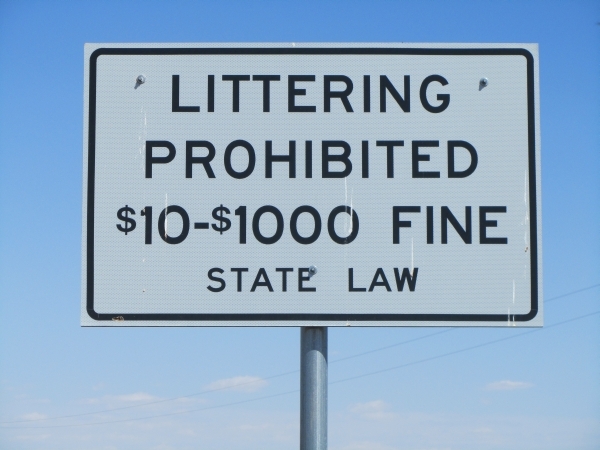 I sincerely put forth my query and they told me that, yes indeed, throwing-up out the car window was littering. “Who has to pay?” I asked. I was informed that they would pay but they would expect remuneration for the foul fine. I doubt if my parents ever said remuneration to me, and I never considered an upset stomach coating the black asphalt speeding perilously by, to be a work that they had done for me. Who were these policemen who would hate a child enough to watch them speeding by as the green faced warrior of warning and chaos spewed forth its venom and then pursue them to the ends of the earth just to make sure fines were distributed to the innocent? It was just an undigested bit of beef or blot of mustard or an underdone potato that caused all the mess anyway… how could they consider fining the poor sick lad who didn’t want to be slapped for mussing the car all up? My mind pondered this for some time, and then I ingested the information, took it for what it was worth and vowed never to get sick enough to vomit out a car window. As some trigger in my brain released this long forgotten information, I wondered at its genesis. Did my dad, for as the more I write the more I recall, tell me this just to have a bit of fun? Or did he tell me this because his dad told him? My Grandfather died before I was born and the only thing my dad told us about him was that he owned a spaghetti factory by the union station tracks near downtown Salt Lake, and that he punished him once for messing with a dishwasher and broke his arm. I also recall a picture of him someone, somewhere had of him strolling down the streets of downtown Salt Lake City in finely pleated slacks, polished shoes, double-pocketed button up shirt and a straw hat perched nonchalantly on his noggin. Did he tell his son stories to mess with him? My dad was an only child. I am the middle. Perhaps I recall this story to purge it from who I am. Many people find it a ridiculous notion that our relationship with our fathers drives our relationship with God. I many times feel as if I am God’s comedy release. Even now, with so many things frustrating and mocking me because of my own fate, makes me feel that God isn’t angry with me… He just likes having a good laugh at me once in a while. Purge it. Purge it. Purge it. Thank you for the recall of such innocence of youth, brain, for it is to purge bad theology that effects my heart. Nonchalant hat tips to my God. As I was cleaning up this morning from yesterday’s big bash (we had some friends over to play games while the rest of the nation watched some other game on television), I threw some empty bottles away in the trash and they clinked together in a melancholy sort of way. I don’t know why I suddenly felt sad, and I had a vision of my time in college, and I remember how I felt as empty as a bottle being tossed in the trash. You had to be careful throwing away those bottles because you didn’t want a bunch of glass shards tearing at the delicate plastic of the trash liners they were being placed in. The clink of those bottles casually, yet almost lovingly placed reminded me of how empty I felt back then. They served a purpose of being cold and firm as we clutched them the previous night, lifting and tipping towards our pursed lips, tongue lifted at just the right angle to receive the bitter bubbliness of amber absenteeism. Just a few more and you could forget the directionless point of your life that the bottles ironically indicated you didn’t have. The recall of spinning a bottle so it would point at a certain someone makes the emptiness more tangible. You grab at empty green and brown and clear bottles knowing that it is the weekend and you’re here still and your family is so far away. These people who look at you worryingly during the week, don’t look at you as you clean. Maybe they were just as sad, just as empty. We took hard, solid, but delicate objects of yesterday’s symbol of ease and prepared them for someone to pick them up and rush them off to who knows where. The empty cans were much easier. They seemed to be made for a temporary point in time. You can smash them and toss them across the room into the refuse bin. You don’t have to be careful. The sound of an empty can causes no emotion. There is no link in time to those. The clink of bottles remind me of distances. Distances in miles and distances in time. There were always bottles somewhere at that time. There would be bottles at the bottom of the hill in the secluded place. Bottles on porch railings. Several bottles would glint in the sun, perched on the windowsill of Scott’s room. Bottles at the end of the hall in the dim light. Bottles standing stoically as statuesque guards next to toilets. They were always there pleading to remind you that this temporary time is oh so permanent… and delicate. Clinking bottles make me sad. Sounds so tied to deep emotion makes my heart yearn for a something that tickles the ear, like car tires rolling over an iron bridge. Or the sound of a curtain opening. Or the sound of kneelers being put down all over the church. My Papa’s snoring as we all watch television or play games. Music of all shapes and sizes. Somehow these sounds, even happy reminders, give me back the melancholy of distance. I miss you family. We crave distance and hate it when it lingers. I am good here, because I am loved here. Distance is making things foggy though and there are times I need to cut the fog, for it has been far too long. But I know that closing geographical distance will never change the distance of time, and geographical distance will remind me of emotional distance which more distance in time will ever increase, but there must be growth. There is always growth. All this… in the clink… of a bottle. December 6, 2013 – So, I just got a call from a security company wanting to see if I was interested in free wireless security in exchange for putting up a sign in my yard. This thing I was talking to was totally a computer with computer responses to things I said. It said it’s greeting twice in the exact same inflection and wording when I pretended like I didn’t hear it. I told it, it was a computer, and it said, “I’m not a computer.” Later on, I said it was a computer again, and it said the same thing: same voice, same inflection. I told it to prove to me he (it) wasn’t a computer. It said it was calling to find people who are interested… I interrupted and told it to tell me a movie it has seen recently. It went back to telling me it was looking for people interested… I yelled, “You’re a computer,” into the phone and hung up. Ha! Take that computer pretending to be a person. The revolution will be on us soon people. You better learn to recognize what is a real person and what is a machine. Have a conversation with that too perfectly sounding voice, their programming can not handle your awesomely, organic questioning. February 20, 2014 – I have to realize that I’m am not working on the same plane of reality as most people. My reality borders on fantasy bordering on weirdness bordering on self deprecation bordering on the outer limits. February 20, 2014 – I believe child prodigies are people who were able to access the part of their brain that can do time travel and they came back into their own baby bodies with full knowledge of the life they just lived, and are doing it all over again with obvious advantages. April 27, 2014 – Facebook: Bringing families together that you never knew existed to the ultimate family reunion. Then they sit around showing you all their photos of dogs, cats and other plethoratic materials with the quirky sayings and such that they’ve collected over the years, while there is a great softball game to participate in and the cold fried chicken your grandma makes only once a year sits there, unconsumed by you, but you can’t get away. Her: So, are you saying that everyone who is not an “evangelical Christian” is not a Christian at all? Me: Since I know you are asking from a Catholic perspective, to me a Christian in this reference is of the Protestant tradition. I understand that many religions and/or denominations believe in a partial biblical understanding and sometimes mythical tradition of Christ and still call themselves Christian. I’m not sure your stance on Mormons calling themselves Christian, so as to be accepted more by the mainstream, but I would not call them Christian. In the same way and in my adherence to the bible alone I would not include Catholic in that reference, but that is not to say many Catholics aren’t Christian… Does that answer your question? Feel free to ask follow up, I’d love to discuss it. Her: I see what you are saying but I disagree for the most part. No, I do not think Mormons are Christians… But THEY think they are. They also believe that they are doing the absolute best thing by Christ as possible. But to exclude and/or dismiss anyone that blatantly, well it makes you exactly like the Mormons. They too like to think they are the only “true”church, the only ones who got it right, and the rest of us are screwed. It is not your place to decide who will or will not make it to the top. Me: I understand what you are saying and I want you to know that I am not the one who make the decisions. I don’t want to say anything that would divide any further so I have a question, you can answer here or pm, Do you know the difference between Catholics and Born Again/Evangelical Christians? If you do and think I’m an idiot for asking, just say, “Duh!” but I want to make sure of semantics before I go any further. Her: To answer, not really. But I can also tell you, I don’t care either. If you want to attempt to convince me that salvation and Christ’s love is an exclusive club that only a few can have will be a waste of your time and mine. I am sorry you feel the Catholic church let you down. I am quite happy and I feel no need to judge anyone. Me: Fair enough, and I’m sorry if any of my words have made you angry. You must sometimes know how it feels when you post something conservative and your liberal friends don’t understand. You’d like to convince them of your intent and how logical the conservative viewpoint is, but they won’t hear you. It has happened to me and I very rarely post anything political because I don’t want to hurt or alienate anyone. I realize that I won’t convince anyone of anything but I want to make sure at least that they understand my semantics. I appreciate my Catholic upbringing and never feel as if it let me down, but that it is fully realized through my understanding now. This format is not the best way to discuss things, I enjoy one-on-one relationships best, but I must be true to what I believe and write, and have an answer for those who disagree, just like we both do when our liberal friends say something,,, (for want of a better term) in ignorance. If we sat down on a park bench or for coffee, without the world watching, we could discuss freely and understand each other better. Her: It’s funny, I know you mean well, but you have no idea how much like a mormon you sound. I think we understand each other perfectly. You really don’t need another format to explain better what you believe. I also don’t need A different format to have my relationship with Christ explained to me by anyone who thinks that by it’s difference, it is somehow wrong. Your “label” is no different than any other human created label. There are many paths to salvation, and much like the mormons, you think you are on the only one. I think your work would be best directed towards atheists and their venomous need to not just not believe, but to destroy the belief and freedom to believe in others. The need to rank and file your fellow Christians is misguided. Me: Well, I guess you shut me down. Her: I didn’t mean to shut you down. I was/am offended that you would dismiss so many really good people as not Christian simply because it doesn’t fit they way you believe. Our God is a tolerant, loving, God. He knows His children are screw ups. There are many paths, I am glad you found yours. If you save one you are doing good. Me: Part of my blog name is “Rebellion” and one of the things I am rebelling against is that we no longer (if ever) really share with each other our lives, our ideas, our faith, ourselves. We assume things about each other in order not to overburden our minds with compassion or empathy. I don’t ever want to be that way. Since I’ve been in West Plains I’ve had lots of opportunity to find out about people by asking them about their motivations for what they do and what they believe. I assumed since I was from SLC that they would be interested in me. I became disillusioned about relationships, but through love and care of some great people, I have realized that it is part of my burden too, to know and love people no matter who they are. In writing, and seeing others write, political positions of the conservative side, those in opposition just want to silence you. “Don’t give them the opportunity to speak,” is the liberal mantra, so I rebel against that in really trying to find out why they believe. Most liberals believe that even questions are an attack on their ideology. It is a sad world we live in. So even though some of the things you say about me are correct, many of the reasons you may assume I got here are wrong. I understand you not wanting to have a conversation, that I’m just trying to convert you, but there is more to it than just what you have seen in the world, I’m deeper than most representatives of my faith that you see portrayed in the media. Either way, I am glad we are still conversing. May 26, 2012 – Strange Confessions: I read a lot of Stephen King when I was younger, sometimes still do. Although now, I think he’s more deranged now then he was then, but that is another story. Anyway, I wanted to write like him and when I took took a creative writing course in high school I wrote a couple of short stories in honor of my creepy dark side influenced by King. The first one was called, and I still remember, “Killer Born from a Barbecue.” The narrator was a man who married an “ugly”, unsympathetic, rich woman who had a sister married to some other guy possibly for the same reasons. He was thinking how awful his life was and what he could do to get out of his situation. How his life led up to this point of thinking so much about money that he married for it and so disliked his wife, her sister and husband. The dialogue was him answering curtly to her vacuous questions as he barbecued and her sister and husband were out in the hedges playing croquet or something. Suddenly the husband of the sister emerged from the hedges with a bloody ax(mallet) screaming and coming towards the narrator and his wife intent on killing them. Whoa, dark stuff, yeah? The other story was this same killer years later living in a culvert near a park and coming out to listen to some people playing classical music. A sweet old lady took hold of him and brought him to her house so she could feed, bathe, and give a homeless guy a second chance. I remember thinking would he kill her or would she be actually evil. But I actually ended it with him running out of the house screaming because she was killing him with kindness. I liked both stories and remember them fondly because it reminds me of where I came from, who I am now, and how hard it is to reveal who you were to people who know you now and what will they think of you. But, we need to remember where we came from, because that is what formed and shaped us into who we are. I believe I still have those stories somewhere, and wish I would of kept all of who I was but, alas I’m really not that sentimental.